To have a blog added to your account you will need to be subscribed our basic blog or advanced blog subscription option. If you are on Tier 1 you will need to reach out to our support team to first upgrade your account. Please review all Blog Migration Details before proceeding. Log into the Showit platform. Click on your name in the lower left corner of the builder. Choose the "View User Profile" option in the window that pops up. 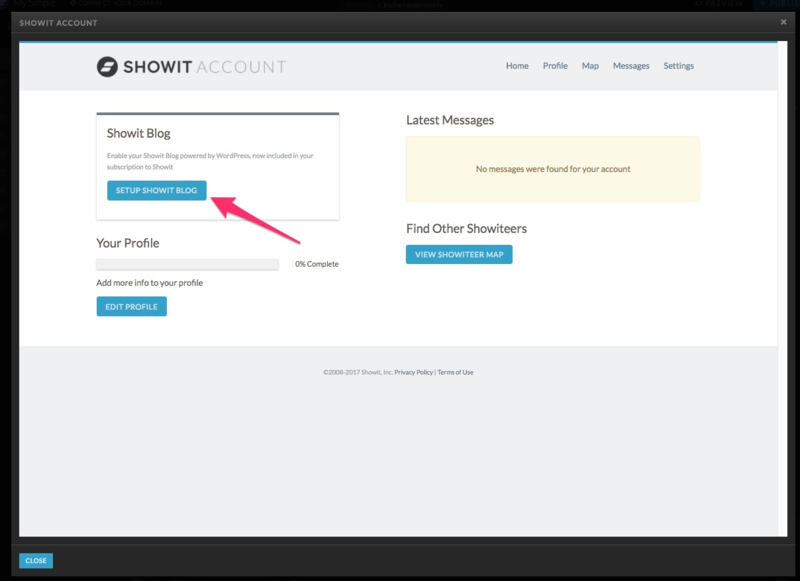 Select the "Setup Showit Blog" button and choose the "Setup New Showit Blog" option. Follow the steps and fill out your domain information you would like connected to your new blog. Wait while our team completes the setup and replies via email with details once your blog is setup and ready for blogging. 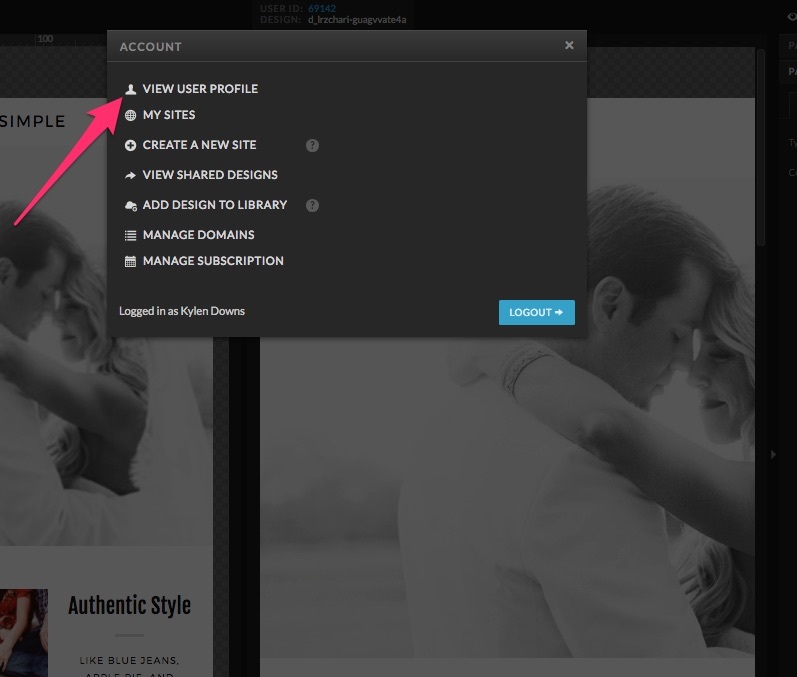 Select the "Setup Showit Blog" button and choose the "Migrate An Existing Blog" option. Follow the steps and enter the required domain information so our team can connect to your current blog, migrate your posts, and configure your domain for the blog hosting. Wait while our team completes the migration. We will reply if we need additional details or once the migration is compete and how you can access your blog.